Buckcherry announced a new slate of live dates this week. The band announced it will launch the second leg of its Warpaint Tour 2019 on May 18 in Waco, TX. The almost four-month run is scheduled to run through Aug. 31 and to feature performances in cities, such as Greensboro, NC; Spokane, WA and Ottawa, ONT. The schedule is noted below. 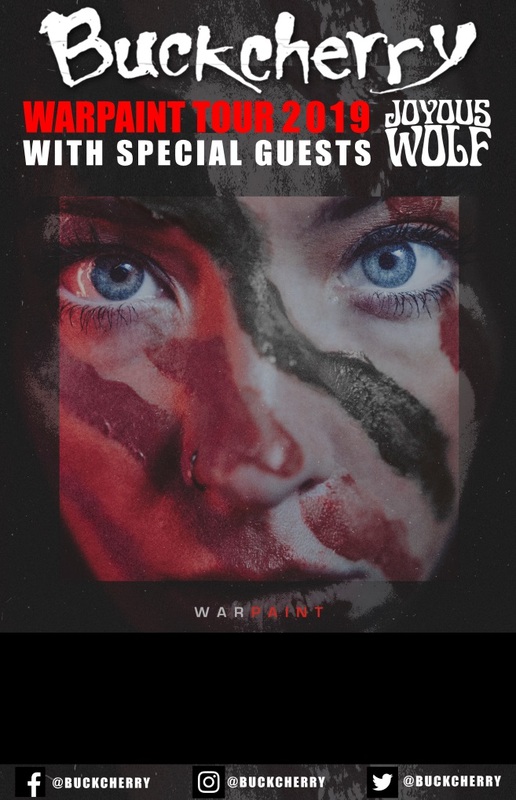 Joyous Wolf will serve as support on select dates along. Other dates on Buckcherry’s upcoming tour schedule will be opening dates for Aerosmith and Nickelback. VIP packages for Buckcherry’s tour are available here. Fates Warning and Metal Blade Records have reunited. The veteran progressive rock band announced this week that it signed a new deal with Metal Blade Records. Most recently, the band was signed with InsideOut Music, which released the band’s most recent recordings, Theories of Flight (2016) and Live Over Europe (2018). Front man Ray Alder addressed the reunion in a recent interview. 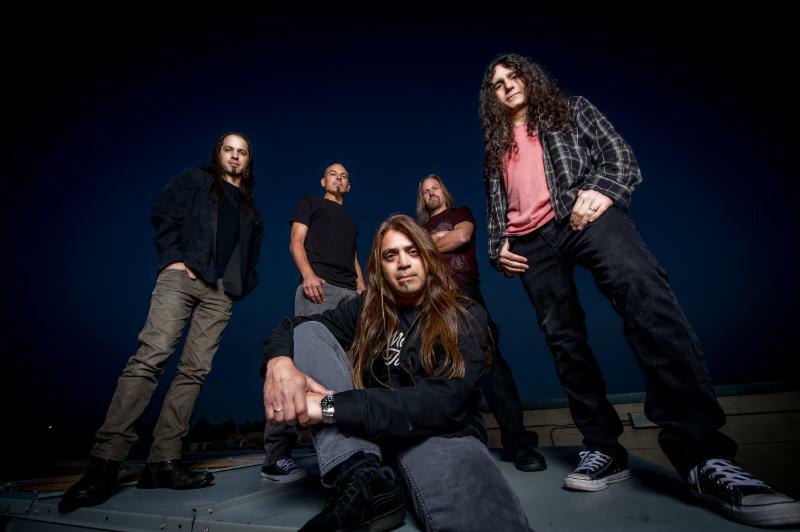 Fates Warning was signed with Metal Blade Records from its inception, releasing albums through the label until 2013, when it released Darkness in a Different Light through InsideOut Music. Theories of Flight followed in 2016. The band’s 1998 live recording Still Life was also released via Metal Blade Records, as was the band’s 2017 live recording Awaken The Guardian Live. 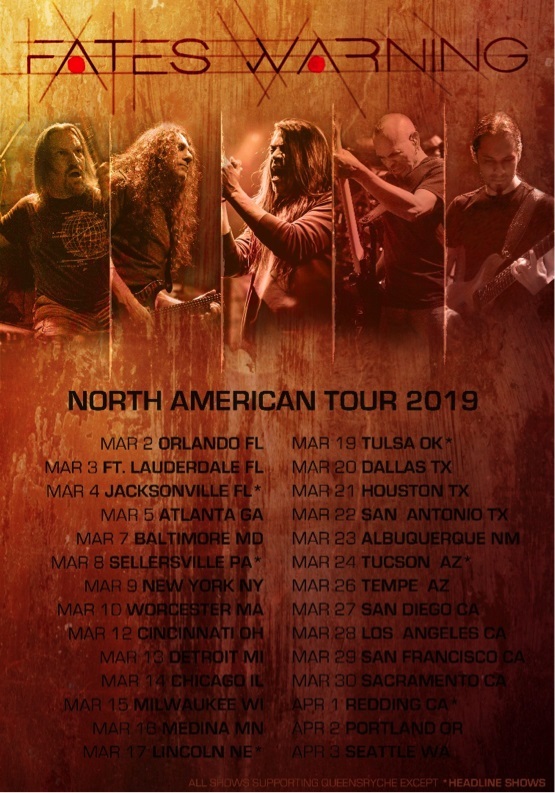 Fates Warning is scheduled to join Queensryche on the road starting March 2 as a support act for Queensryche as it tours in support of its new album The Verdict. That album is currently scheduled for release March 1 via Century Media Records. The tour’s current schedule is noted below. Like A Storm debuted the video for its latest single this week. The band debuted the video for its song ‘Complicated (Stitches & Scars)‘ on Friday. The video presents the band performing its new single in a sound stage setting, and crosses that footage with shots of masked, leather-clad contortionists performing a routine along to the music. The video was captured by Ron Thunderwood and edited by Sam Shapiro. 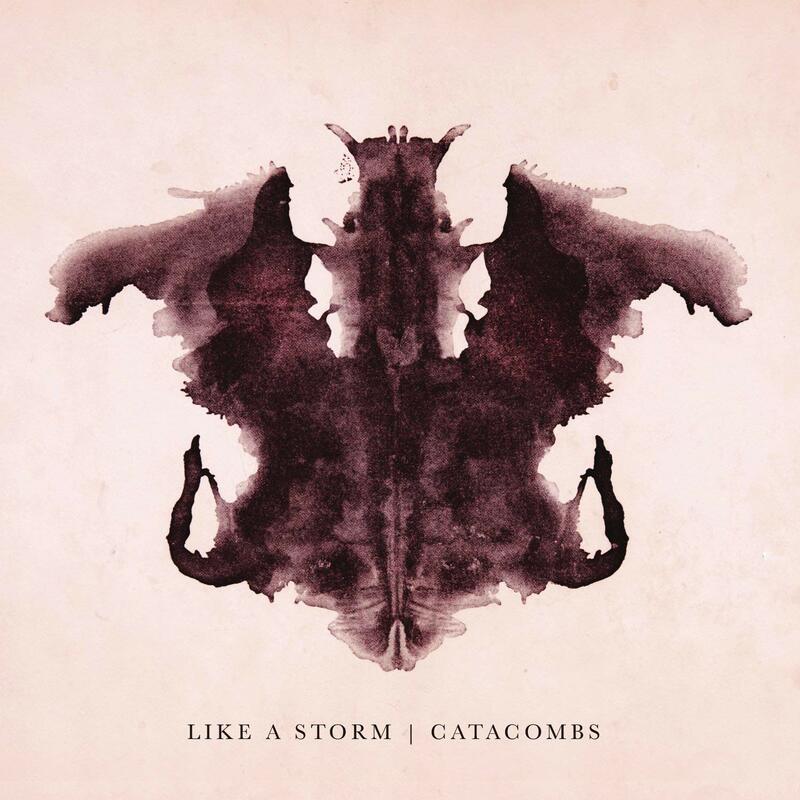 The song is taken from Like A Storm’s 2018 self-produced album Catacombs. The song is available online now via Spotify, iTunes and Apple Music. The video for ‘Complicated (Stitches & Scars)’ follows the debut of the band’s video for Catacombs‘ lead single ‘Pure Evil,’ which debuted in November. Like A Storm is currently touring in support of Catacombs. The band’s current tour schedule is noted below. Queensryche released the lyric video for its latest single this week. The band debuted the lyric video for its single ‘Dark Reverie‘ on Monday. The song’s musical arrangement is everything that audiences have come to expect from Queensryche throughout its life. Queensryche guitarist Parker Lundgren explained the song’s lyrical theme is very introspective. “‘Dark Reverie’ is a guitar-driven progressive ballad addressing self-reflection during times of tragedy and the questions we ask ourselves while grieving,” Lundgren said. 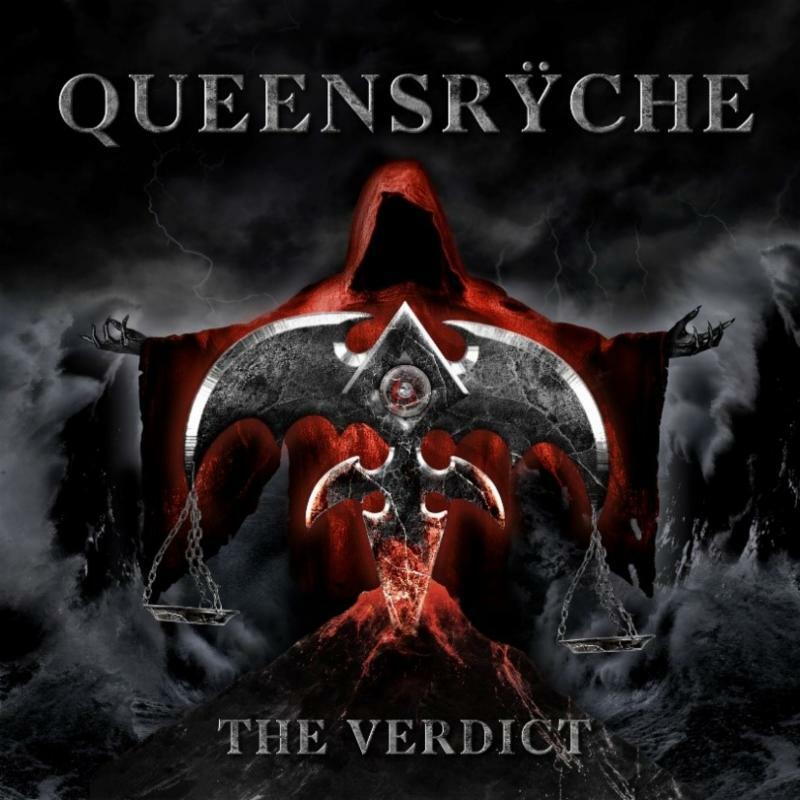 ‘Dark Reverie’ is the latest single from Queensryche’s forthcoming album The Verdict, which is currently set for release March 1 via Century Media. Pre-orders for The Verdict are open now. The album’s lead single, ‘Man The Machine‘ premiered Nov. 16. Queensryche will tour in support of The Verdict starting March 2 in Orlando, FL. The monthlong tour is scheduled to run through March 3 in Seattle, WA, and feature performances in cities nationwide, such as Cincinnati, OH; Uncasville, CT and Tempe, AZ. The tour’s current schedule is noted below. 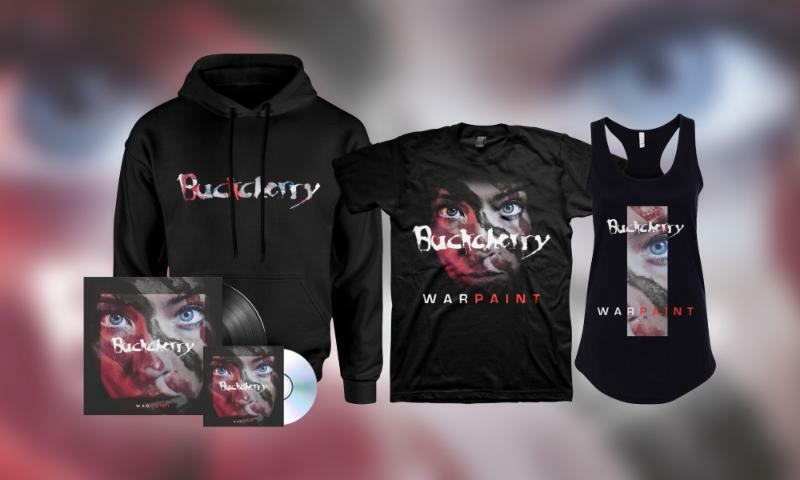 Pre-orders for Buckcherry’s new album are officially open. Pre-orders officially opened Friday for the band’s forthcoming 12-song album Warpaint, which will be available on a variety of platforms, including but not limited to CD and vinyl. Anyone who pre-orders the album now will receive an instant-grat download of the album’s lead single, ‘Bent.’ It can also be purchased online via iTunes, Apple Music and Amazon Music. It is streaming online now via Spotify. Another song featured in Warpaint is the band’s cover of Nine Inch Nails’ hit single ‘Head Like A Hole.’ The video is streaming online now here. Buckcherry will launch its new tour in support of Warpaint Jan. 16 in San Juan Capistrano, CA. The tour is currently scheduled to run through May 5 in Montclair, CA. The tour’s schedule, which is listed below, includes dates in North America and Europe. Tickets can be purchased here. Queensryche is giving audiences their first preview of its new album. The band debuted the lead single, ‘Man The Machine‘ from its forthcoming album The Verdict on Friday. The Verdict is scheduled to be released March 1 via Century Media, and will come a little more than three years after the release of the band’s most recent album, 2015’s Condition Human. Front man Todd La Torre said in a recent interview that more is on the way from Queensryche as The Verdict‘s release date nears. Pre-orders for The Verdict are open now. The Verdict will be available on a variety of platforms, which are listed below. The Verdict was produced, mixed and mastered by ZEUSS (Rob Zombie, Iced Earth, Hatebreed). at Uberbeatz in Lynwood, WA; Planet Z in Wilbraham, MA and watershed Studios in Seattle, WA. Along with the announcement of its upcoming album release, Queensryche has also announced it will tour in support of The Verdict. 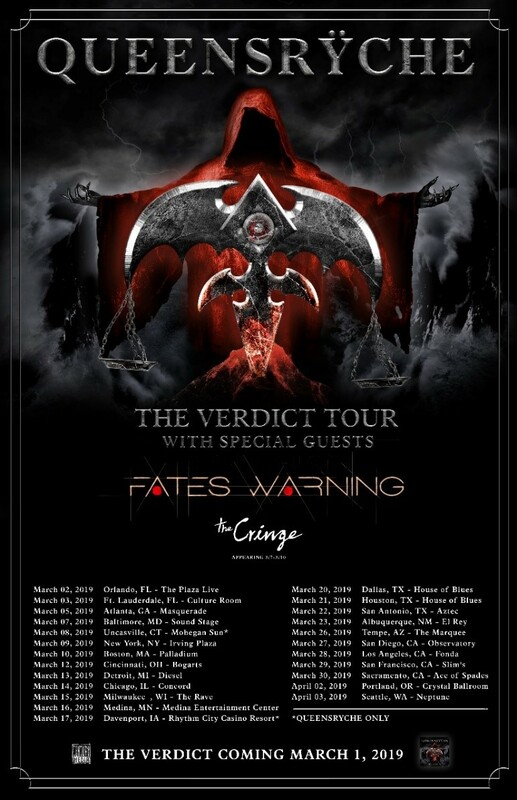 It will launch a headlining tour March 2, with Fates Warning and The Cringe serving as support. Tickets can be purchased via the band’s official website. The current schedule for Queensryche’s upcoming tour is noted below. Like A Storm unveiled the video for its latest single this week. The band debuted the music video for its new single ‘Pure Evil.’ The song is the second single from the band’s most recent full-length studio recording Catacombs, which was released June 22, 2018 via Century Media Records/Red Music. The video was shot at the site of the former Methodist Church of Gary, Indiana, just south of Chicago, Illinois, with Vince Lundi heading the project. Like A Storm guitarist Matt Brooks explained in an interview, that the song’s lyrical theme is a social commentary that focuses on religious and political leaders. ‘Pure Evil’ is just the latest single to be released from Catacombs. Audiences can hear a snippet of the album’s lead single ‘Complicated (Stitches & Scars)’ — as well as the album’s other songs — here. Along with the debut of its new video, the band also recently announced a new string of live U.S. tour dates stretching from Dec. 11 – Dec. 22 in support of Catacombs. Palisades will serve as support for the tour. VIP packages and tickets are available here. The tour’s current schedule is noted below.